We want to share with you a few details and many pictures from our trip to Stykkishólmur that took place on January 27th and 28th 2017. On Friday, we met at St. Joseph’s Church at 6:30 pm. 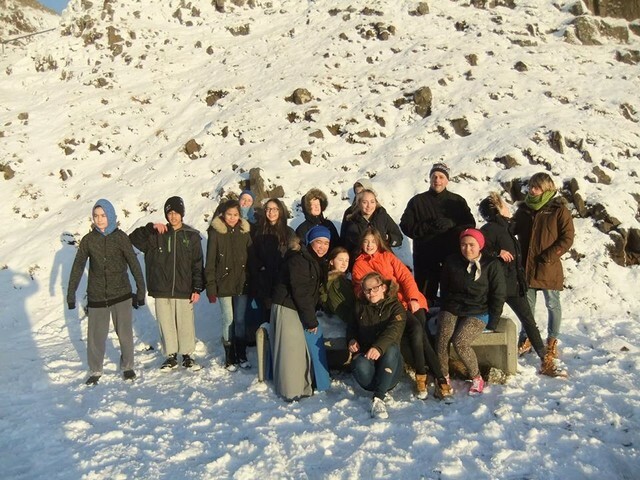 The group was divided in two and with the two mini buses of the Diocese of Reykjavík, we started our trip with a lot of enthusiasm. A parishioner of St. Joseph’s Church with his wife gave us a great hand driving one of the buses. During the trip, each group prayed the Rosary. 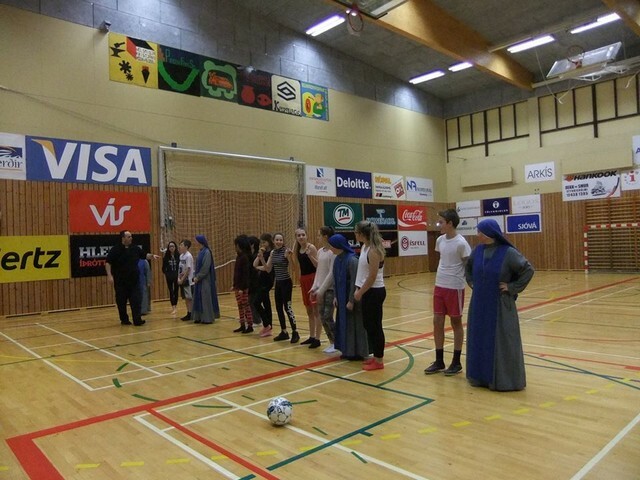 The community of SSVM Sisters who live in Stykkishólmur were waiting for us with pizzas and ice-cream. 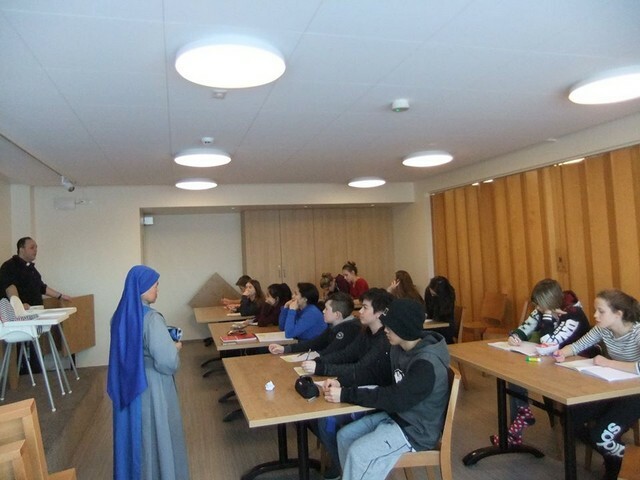 After dinner, we went to the light house and took a few pictures and then, after a small talk and night prayers in the chapel “Our Lady of Perpetual Help”, the group spent the night at Fransiskus Hotel. On Saturday morning, we started the day with morning prayers. After breakfast we went to the gym to play soccer for about an hour. Then we had some catechism activities and questions. Most of the children answered very well. Some of them spoke of how good it is to learn the catechism, to know more about Jesus, and to do charity work with the Mother Teresa Sisters (the previous trip we took with them was to help the sisters). They also said that is was nice to be together and to get to know one another better. After that, we had games and competitions. Once again, the sisters from Stykkishólmur prepared a delicious meal, this time for lunch. In the afternoon, the children had the possibility to receive the Sacrament of Confession and then we had the Holy Mass. 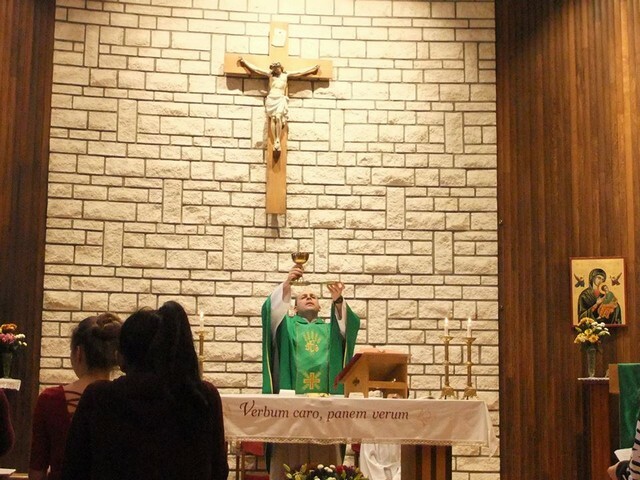 After the Mass we prepared all our things and went back to Hafnafjörður. All the youth were contented and happy with the trip. We would like to ask your prays for these children as they prepare themselves to receive the sacrament of Confirmation, for their perseverance in the grace of God and also for their participation in the life of the Church. Catechism, Confession, confirmation, Iceland, IVE, SSVM, St. Jósefskirkja, Stykkishólmur, trip, youth.